How To Evaluate the Impact of Employee Benefits and Incentives? Today, benefits or sometimes called fringe benefits have added value and branding to companies around the world. Each company’s unique employee benefits program is used to compete for the best talents. 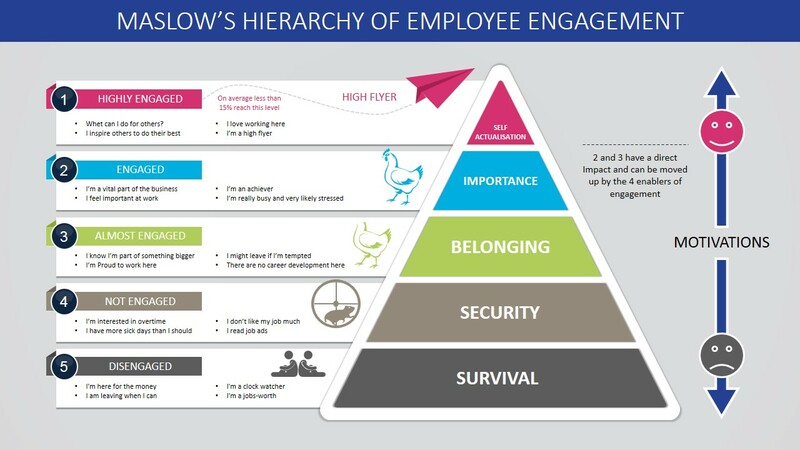 These are crucial to attracting, retaining and motivating employees. In fact, a recent survey by Mercer Marsh found that around 60% of the participating employers labelled fringe benefits as ‘very important’. However, implementing an highly desirable program is only half of the work. For it to be effective and drive higher results in the workplace, appropriate evaluation is important. In Asia, an average of 13% of a company’s payroll is dedicated to staff benefits, as stated by 34% of employers in the survey of Mercer Marsh. Are employee perks worth spending on? If we look at Maslow’s hierarchy of needs, we see that after physiological needs (such as food, water and shelter) are met, the safety needs ought to be satisfied. Today, our need for security is fulfilled by our job and the benefits it brings which, after financial security, includes safety for our future. Therefore seniority plans and corporate health management, among others, are necessary for employee attraction and retention. Moreover, we are driven by rewards, and having a functioning reward system with the use of staff benefits is an advantage for companies. What would investing in employee perks bring in return to companies? The two main results are an increase in productivity and a decrease in absenteeism. The impact of higher productivity in the workplace is the cause of higher employee engagement, morale, and thus satisfaction. MetLife’s 10th annual study of employee perks trends especially shows a strong link between job satisfaction and the staff benefits offered. Eventually, if employees are dedicated to their job and to the company, their loyalty and enthusiasm are reflected in the fact that they will tend to take less days off. Having to replace or cover up the lack of employees comes with some sort of financial loss and slows down the workplace. On the other hand, being able to retain employees with perks involves a low turnover rate and training costs. Indeed, companies’ best practices overpower the costs of staff benefits as happier employees bring in more revenue. It is a win-win situation. Nevertheless, it is not enough to provide staff benefits; it is even more important to customise a company’s employee benefits program to the culture and the specific needs of the current employees. Structure, evaluation, and purpose behind employee perks are also essential. If the value and reward system of staff benefits are not properly communicated to the employees, their abuse and overuse can occur. For example, providing free meals in the evening could be a perk that motivates employees to get more work done, but if the purpose is not clear, this may bring them to slack off until they obtain their share. Which employee perks should be implemented? How do we know which employee benefits program will deliver the best results and be the most cost-effective? Many companies are missing a few points when researching and analysing their data to answer these questions. This is because they focus on the traditional tactical approach to evaluate their staff benefits. This approach focuses mainly on the use of external benchmarking to assess whether their employee benefits package is most likely to be effective. Thus, companies consider what the competitors do and offer and analyse the market trends when designing their benefits program. Internal data, such as employee feedback and relevancy, tend to however be overlooked. Many employee perks are often implemented to keep up with the current trends while being unrelated to what the company believes in. It would be unacceptable for WOBB, a hiring company in Malaysia, not to provide the option of working on bean bags when their company name is Working On Bean Bags. But it would also be unreasonable to have every single company in the country work on bean bags. Therefore, employee perks are the most effective when they align with the company’s culture and resonate with the employees. Sometimes, the problem does not lie much in the employee benefits program but rather in the way they are communicated to their beneficiaries. Often, employees are unaware of the perks available to them and how to take advantage of them. For instance, it is unlikely for an employee to read an entire manual explaining their benefits; however, a simple and visual presentation will not easily be dismissed. This eventually leads to the ineffectiveness of the staff benefits and financial strain on the company. Companies tend to evaluate their employee benefits program once a year, although it is highly recommended to review the packages on a regular basis or at every quarter of the year. External trends and the needs of employees alike could alter at any moment and multiple times a year. Therefore, employee perks ought to adapt to the ones using them. What makes an employee benefits program most effective? Adaptable: There should be room for changes after each evaluation. The process to introduce alterations should be smooth and well-communicated. Sustainable: Companies should be aware that their employees grow old. Staff benefits should be relevant to various stages of the life cycle, such as pension plans preparing employees to surviving old age, and proper health care management for different age groups. Personalised to one’s needs: Employees in a company may have different needs from employees of another company. Each company has its own culture and enhancing its unique culture through the right benefits is the key to stand out from its competitors and improve retention. Affordable: A higher budget does not equate more effective staff benefits. Remaining within the company’s allocated budget together with a focus on the company’s own working culture will reap higher rewards and less financial strain. It is also important to make sure that the cost is predictable throughout the years. It is not enough to compare external trends and benchmarks with one’s employee benefit program to evaluate its effectiveness. Companies have valuable data that can be found internally through the employees. In addition to collecting information from their competitors, here are two other means to obtain useful data. Employee feedback is essential to improving a company’s staff benefits. In the end, it is the employees who will benefit from the program, thus it is important to involve them. This kind of participation can potentially strengthen their loyalty to the company as it instills the feeling of being heard and understood. To obtain the data, surveys can be used. Such inside information can further be used to foresee internal workforce trends. This allows sustainable planning for later evaluations and updates of the benefits program while considering future employee needs. It is important that the staff benefits align with both the culture and the objectives set in a company. Business objectives may change over time, therefore, staff benefits should be adaptable to present and future goals. Asian companies, in particular, are constantly battling in a fast-paced economy. Laws concerning businesses are constantly changing, especially as the workplace is merging with digital technologies. The technological world is blooming. Therefore, it is imperative to be up-to-date with new legislations and whether they will affect current employee benefits programs. Due to such rapid changes, evaluating staff benefits ought to happen more than once a year. Several data are used to evaluate a company’s employee benefits program in Asia: an employee’s absence rate, medical claims history, physical check-up data and employee feedback. However, it is not the amount of data which contributes to the effectiveness of employee perks, it is how the data is used. If the ideal result of an effective employee benefits program is higher productivity and less absenteeism, how do we quantify those terms? How do we measure the impact of employee perks? The specific metrics will vary from company to company, depending on their goals and culture. What is a successful employee benefits program? ‘Success’ should be clearly defined and measurable. From there, the aim would be a high return on investment (ROI). The impact of employee perks is not entirely quantifiable. Uncertainty and nuances will occur; however, it is one of the most valuable aspect of a company. If the impact is positive, therefore if productivity is increased, the resulting ROI will be felt in the workplace itself: employees will be more hardworking and will appreciate their job. There will be an increasing trend in job satisfaction. If the results are not favorable and the impact low, it is time to either re-evaluate the staff benefits strategy or communicate the program more effectively. Eventually, even the best of employee perks can be overlooked if they are not communicated to the employees effectively. It is important for companies to put an employee benefits program in place to attract, retain, and motivate valuable employees. Nevertheless, employee perks are dynamic and are constantly subject to changes because of the fast-paced economy we live in. They are kept up-to-date by following market trends, competitors’ packages, new legislations, and employee feedback. Business objectives are also taken into consideration when designing an employee benefits program. The newest and most effective approach to evaluating and measuring the impact of the programs focuses particularly on employees’ responses to current staff benefits and on their various needs throughout their life cycle. Nevertheless, the most important aspect of getting such feedback is to have an effective communication strategy. A comprehensive and productive dialogue between the employees and the evaluators of the employee perks is the main element to measure and foresee the impact of such benefits. Want to learn more about employee benefits? Read more here.